This newly opened eatery on Austin’s famed South Congress Avenue contacted Blue Genie to create a feature mural to complement their truly unique decor. 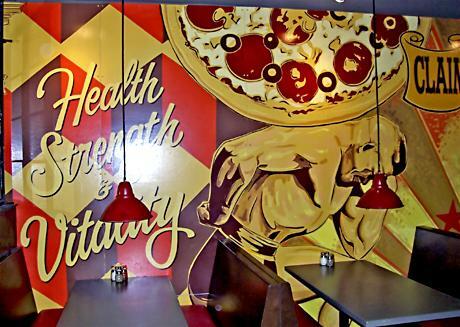 This 9′ tall by 32′ long mural was created after an extensive design phase at our shop on 4′ x 8′ panels. 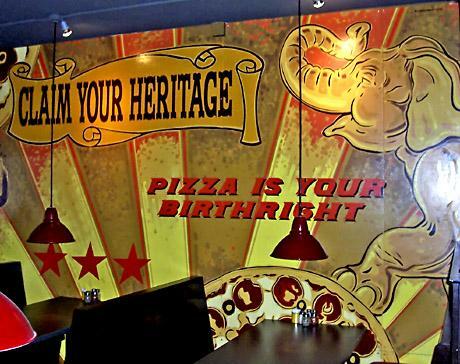 The owners wanted a mural that looked like an old sign that had been reinstalled in their restaurant. If they ever decide to change locations, these panels can be removed and used elsewhere. However, due to their amazing success, it is doubtful they will be relocating any time soon. This entry was posted on Tuesday, January 25th, 2011 at 4:20 pm. It is filed under Interior, Restaurant. You can follow any responses to this entry through the RSS 2.0 feed.